A “must see” when organizing a travel to Italy is a long tour through the charming Tuscany. But what is surprising is that many foreigners, above famous places like Florence, Pisa and Siena, prefer to visit the area that is just in the middle of these three cities, known as Chianti. Maybe the most renowned countryside, dotted with many villages that still maintain the aspect of medieval boroughs, to enjoy on a car, or even better on a Vespa, to feel truly Italian. An experience that actually few Italians have done. 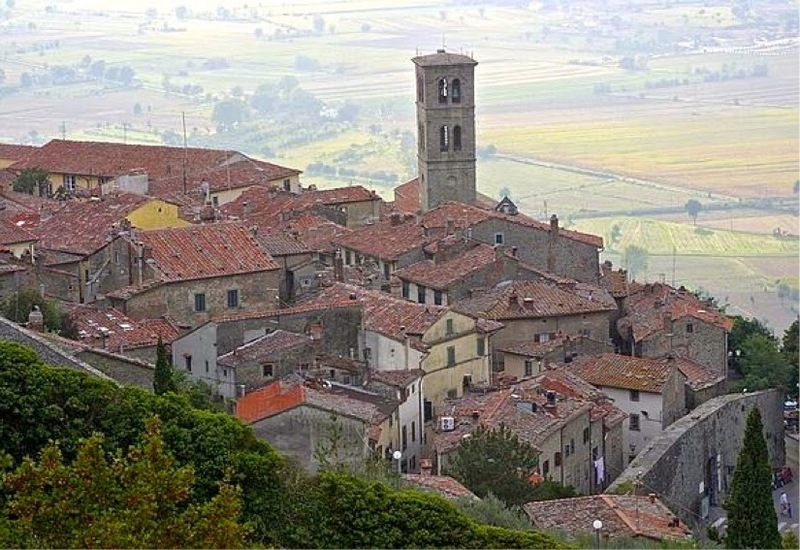 The next stop of our blog’s travel is there, on the Chianti hills, and the following is just a bit more southwards, in the beautiful village of Cortona, on the border between Tuscany and Umbria. 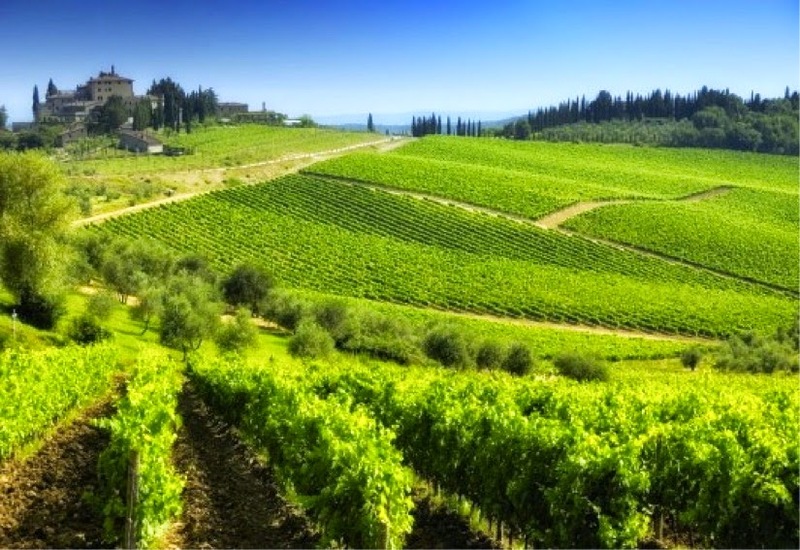 Chianti, the area of rolling hills stretching between Florence and Siena, Arezzo and the hills of Pisa, has long been considered the “heart of Tuscany”, probably one of the most beautiful countryside places in Italy. Its splendid landscape is dotted with dense vineyards, chestnut forests, oaks and maples, attractive medieval villages, romantic castles and charming colonial farmhouses that dominate each one its own landscape. 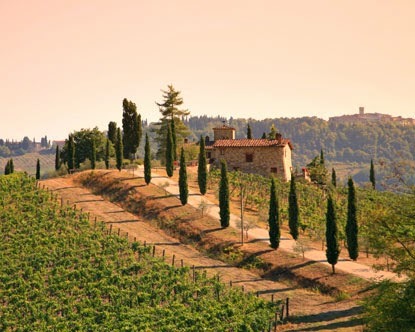 It is also the birthplace of one of the world’s best red wines: Chianti. This place is the ideal getaway for those wanting to experience medieval villages and romantic vineyards tucked away amongst rolling hills. From village to village, one discovers country castles and farms featuring numerous wineries and enoteca (wine shops and bars) for enjoying the fine local wine. The legendary origins of the Clante (named for a stream known since the Etruscan era) along with its winemaking tradition have made it famous worldwide. Beautiful Etruscan walls surround the Tuscan village of Cortona in its wonderful panoramic site, frpm which it overlooks the Val di Chiana, in the view of the lake Trasimeno. An ally of the Romans, important during the era of Commons, remained uninhabited for three years after the sacking of Arezzo in 1258, and flourished again and become a cultural center strongly determined by the presence of Fra Angelico and Luca Signorelli. Its wonderful and steep urban structure, dominated by the sandstone, tells of the alternation of history, visible in the overlap and contrasts, in alleys and ancient paved streets, in the beautiful palaces and churches, which form a harmonious whole and of great artistic interest. If you want to rent a car to explore the Chianti region, click here to book it online with Autoeurope!